When you are growing green stuff, it is also important to “stay green.” We all know the importance of using ecologically sustainable materials to protect better and preserve planet earth and its fragile ecosystems. But unless you lived in places like Australia or India, you did not have access to good quality coco coir. Or at least, that used to be the case in the past. In the last decade or so, high-quality horticultural grade coco coir is becoming a hot favorite in greenhouses and hydroponics grow operations across North America. This is mainly down to the improved supply from places like Australia. If you love gardening or hydroponics, now is the time to consider using coco coir for your plants. You may not be aware of what coconut coir is or how it is made. But if you buy and use potting soil mixes, the chances are high that you have used this stuff in your gardens. If you ever took a close look at your favorite potting mix, you may have seen brown, very fibrous looking particles. Those are coconut coir fragments. As the name suggests, coconut coir is an organic product derived from the coconut tree. 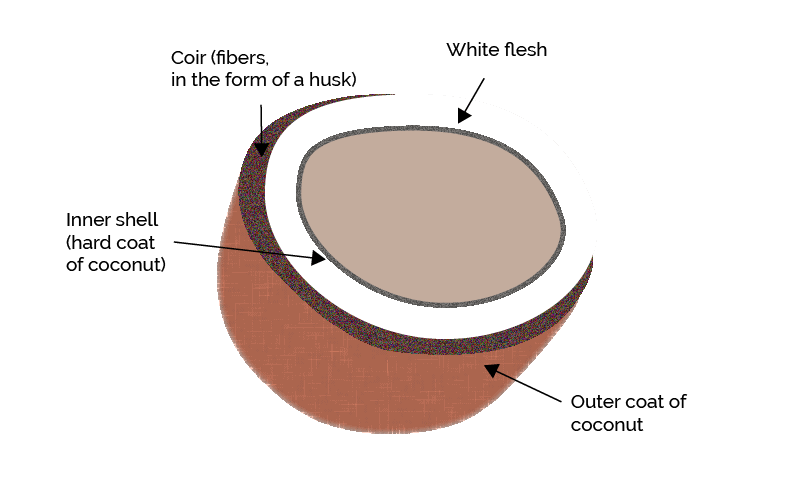 It is a fiber sourced from the tough, dense husk inside coconuts. In gardening, it is a popular additive to both garden soil and soil mixes. And in hydroponics, it is held in high regard as a very capable growing medium. Coir is an incredibly tough and strong fiber that has been used in Asia for thousands of years. It is used for making ropes, rugs, brushes, doormats, and upholstery and mattress stuffing. Along with durability against the elements, coconut coir is also resistant to rot and fungus. So it works well in situations where it comes in contact with water. How is Coconut Coir made? Coconuts are the tough, nearly invulnerable seeds of the coconut tree. The shell inside protects the core of nutrients and soft flesh. This inner shell is reinforced by a thick layer of fibers, in the form of a husk. That husk is the source of coconut coir. Once the coconuts are harvested from the tree, the fibers are separated from the nut or seed. Then it is soaked in either fresh water or salt water to soften it further. Coir is unique among natural fibers. It is the only natural fiber that is resistant to break down in salt water. But this also means that coir that has been processed in salt water often contains high levels of salts and sodium. So, care must be taken when choosing coir for gardening or hydroponics. Coir processing is a time-intensive procedure, and bales of the fibers are often kept for years in storage. This increases the chance of growth of pathogens and other creatures in coir. So many manufacturers tend to treat processed coir with either steam or chemicals to sanitize the product. But both processes can degrade the quality of coir. So the best option is to look for a coir manufacturer that prevents the growth of harmful organisms altogether by using improved storage methods. White coir: this is made from young, immature fibers. It is less durable. Brown coir: made from mature fibers, this variety is stronger and more durable. 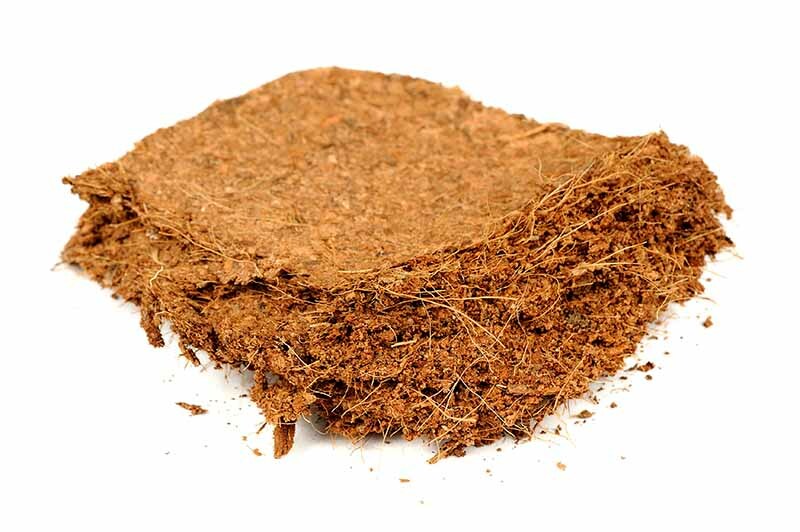 Brown coir is better for use in gardens and hydroponics due to its superior quality and strength. If you take a look at some of the coir products in the market, you might end up feeling a bit confused. There are several variants of coir or coir-based products available for growers. Bricks or blocks: this is the dried and shrunken form. Before use, it needs to be soaked in water. This coir can absorb ten times its size in water. Though hard as a rock initially, the blocks will easily crumble and become workable when soaked. Loose form: this is the powdery, crumbled form of coir. It comes already hydrated and ready for use. 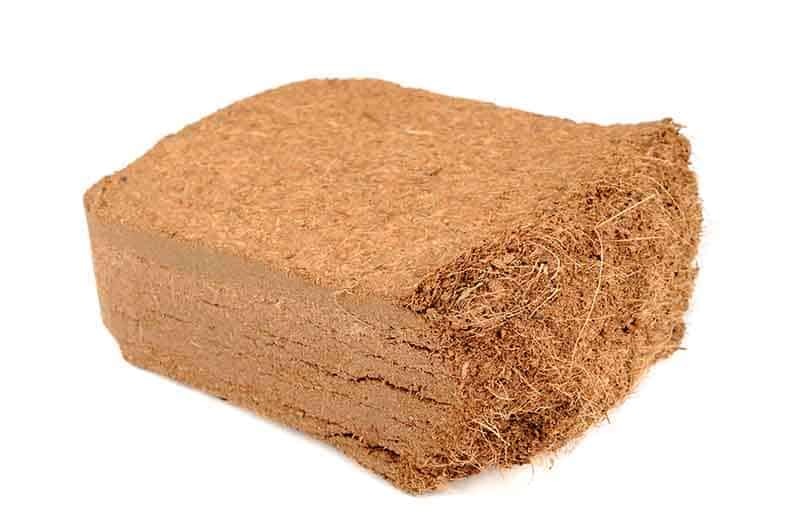 A coco coir block contains the coir fiber in its complete form. But this material can be processed and separated into various forms. Each of these variants also has their own specialized purpose in gardening. Coir Fibers: these are the fibers separated from the rest of the coir. Alone, they can help improve the air holding capacity of your hydroponic growing media. But they also degrade pretty quickly in water. Coir Pith: this is the spongy part of the coir, and it looks like fine tea leaves. It can hold a lot of water, but not much air. It is also called coco peat and is added to soil mixes or raised beds. Coir Dust: This is a specialty product. The dust is made by grinding up coir fibers and husk. If you grow exotic plants like orchids and anthuriums, this is a useful component. Coir Chips: these act as a natural alternative to clay pellets. But unlike the pellets, they will degrade naturally. They are very versatile because they can hold both air pockets as well as water. How to Use Coco Coir in Gardening? In outdoor gardening, coconut coir is an excellent addition to all types of soil. It has excellent water holding and aerating capabilities. It can either be used whole or as one of its above mentioned several byproducts. In clayey soil, it has a lightening effect. In sandy soil, it helps retain water more efficiently. Generally, it helps improve soil drainage and water retention. The same reasons that make it an excellent additive to garden soil also make coir a fantastic component in homemade soil mixes. Most major manufacturers these days add coir in some form to their mixes. Coco coir is increasingly viewed as a desirable alternative to peat moss. Peat bogs are a nonrenewable source of peat. Coir is a byproduct of coconut farming, which is a far more eco-friendly source. Coir also has some clear advantages over peat. For starters, it is easier to manipulate and work with. Coir also has a very neutral pH level, which makes it better for a wider variety of plants. This also means that coir teams up better with nutrients than peat. While peat at times feels water resistant, coir practically acts like a sponge. It is better than peat in handling water. How to use Coco Coir in Hydroponics? Coir has only one principal use in hydroponics: as a growing medium. But it is an excellent performer for this job. If you are slowly transitioning towards hydroponics, coir is an excellent choice that can make the process easier. It behaves like potting soil, so you can create a hydroponics setup using regular pots. 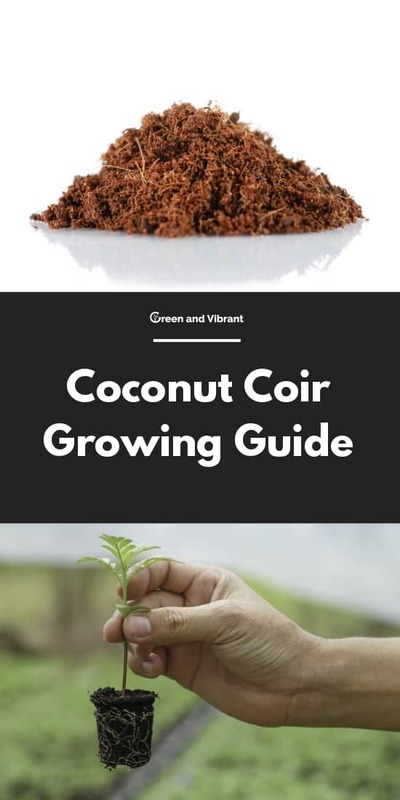 You can either use coco coir as a standalone growing medium or mix with other media like perlite, hydroton with coco coir constitute a larger percentage. Say 90 - 10 (90% Coco Coir - 10% Perlite/Hydroton) to improve the mixture's aeration. I usually place a layer of Hydroton/Perlite at the bottom of the mixture to help better aeration for the roots. In advanced hydroponics, coir is a superior alternative to Rockwool. It has better air holding capacity, along with strong water absorption. Ornamental grade coir is much cheaper than hydroponics grade coir. But it contains high amounts of salt and is useless for a hydroponics setup. So when buying coir for hydroponics, always look for products that have been processed in freshwater. And you should also clean it at least once using a low EC nutrient solution just to be safe. Brown fibers are generally considered better for hydroponic media, as they are more durable and long-lasting. Despite its minor flaws, coir still remains a very potent addition to any horticulturist’s arsenal. In the past, lack of proper sources held back its widespread adaptation here in the States. But now, that is no longer an excuse, due to improving supply from places like Australia and South Asia. And prices are also falling gradually as a result. As a sustainable resource, we should try to use it in place of non-renewable materials like peat. Now is a great time to start adopting coir, be it for your garden or hydroponic system.